Yesterday Twitch launched a new Cheering Beta feature. The initial reaction to the new feature brought mixed reviews from the community. Twitch wrote a follow up blog post to address these legitimate concerns and answer the most important and FAQs everyone asked. Q: Does Twitch plan on making Bits/Cheering exclusive? A: We have no intention or plan to remove or block 3rd party services or tools. We understand how important these services are to a broadcaster’s livelihood and to creating interactions between broadcasters and their communities. Our focus as an organization is making sure that our broadcasters succeed. 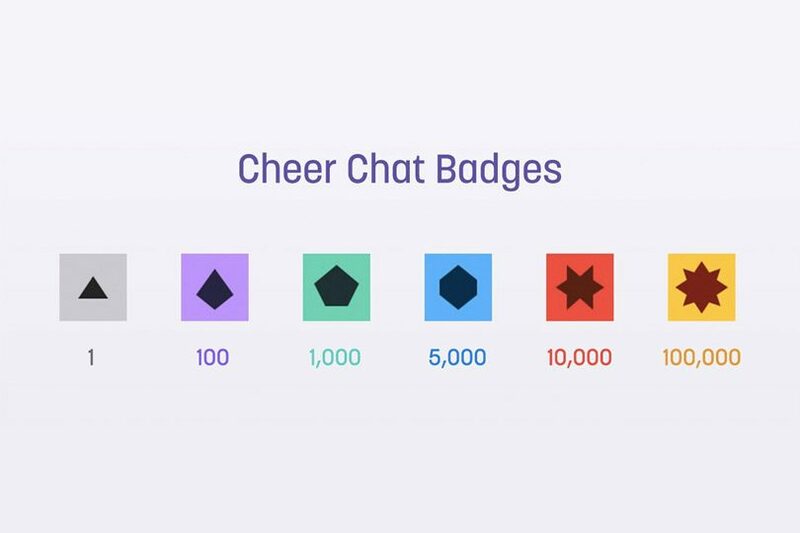 We believe that Cheering provides a completely new value to the Twitch community, and our goal is to take your feedback and make it a critical component to a broadcaster’s success. Q: How exactly does Cheering support the partners? A: Twitch pays participating partners 1 cent per Bit used to Cheer for them, subject to certain terms and conditions such as our Bits Acceptable Use Policy. In addition, we provide broadcasters with moderation tooling, and we’ve hired full-time staff to identify fraud and protect against chargebacks. What you see today is the very first version of Cheering, and there’s a lot more to come. In the not-too-distant future, we expect Bits will also be available through promotions and by earning them through your daily activities on Twitch. Broadcasters will receive the same amount per Bit used to Cheer regardless of how users acquired the Bits. We are also working to provide benefits to broadcasters you Cheer for beyond a revenue share. This is an early beta product and it’s likely to change significantly as we receive more feedback from the community. Q: Why weren’t all partners included in the beta launch? A: This is a true beta launch. As such, the main goal of the launch is to find bugs and learn about the feature in a live user situation. The Partners chosen include a variety of channels with a diverse range of audience size, type of community, and content style. We also chose channels with a significant amount of audience cross-over, giving viewers more opportunities to Cheer on multiple channels. Finally, we chose US-centric partners because the feature isn’t localized and appears only in English. Localizing Cheering for the beta would make it harder for us to react to bugs and deliver new features. We are working around the clock to improve the product, and when it’s ready, to expand the beta to more partners, and include partners from every region.